We live in a hectic digital world. Waking up, drinking coffee, responding on messages, going to work, writing hundreds of emails, having lunch, writing even more emails, leave the office, arriving at home, feeling dissatisfied and the essential things are out of sight. Five to seven days a week. In this daily rush there is no time to get aware of the problems of our time, and even less time to actively work on it. We all longing for the real life. So we decided to focus on human longings. With the installation, we want to arouse the spirit of discovery. We want people to break out of their regular life and open up for spontaneous activities and happenings in their urban surroundings. We want people to perceive themselves as human beings again. As people with emotions, with feelings, with senses and different tastes. As part of the big picture. But its not only about the cities. The integration of nature and the suburban areas plays a prominent part in the activation. Cities are a product of a complex cultural development and have always been seen as the counterpart of the understanding of nature and its wilderness. MINI is an emotional design company. They believe that good design can tip the scales towards a more humane world. The very first MINI, built in 1959, became a design icon, and had a deeply human appeal: in its look, visceral driving experience and accessibility. And it was invented as an answer to a pressing social issue. In the midst of an acute fuel shortage, Sir Alec Issigonis set up a secret design office to develop a small car, that would break all the rules of car engineering at the time. Its approach continues to inspire all of us to this day. MINI aims at offering products and services that are truly relevant to people, every day. The new beyond car alignments have been founded with this purpose: to serve the creative community, locally and globally. 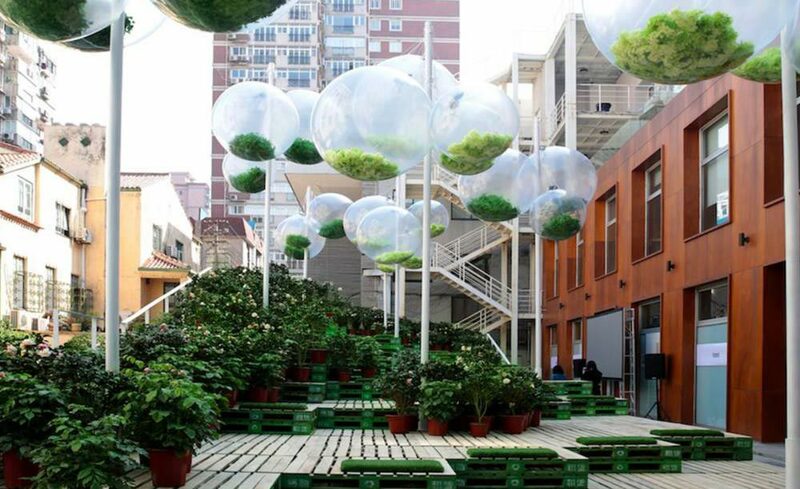 With the RECHARGE THE CITY installation we want to spark new creative approaches to re-green the city. We are convinced that meaningful design cannot happen in isolation – it needs exchange. As for ourselves at FORWARD, we are collaborating beyond our walls and our industry to fuel design thinking at large as well as get inspired for our own innovation. Switzerland and its diverse regions are fascinating places with cities bursting full of life and creativity. Cities with such diverse inhabitants – a mixture of traditions from the countryside and futuristic urban lifestyles. They are places where inspiration happens on a daily basis – it embodies the essence of urbanity. For the installation we rethought the static and fixed conditions of a city – can a space be thought as a flexible and transformative structure? Something in a constant change that can be easily configured and reconfigured due to changing urban spatial conditions and interests of its inhabitants? How can we turn the people around us into active contributors for the improvement of urban life? These are the questions the RECHARGE THE CITY installation answers. 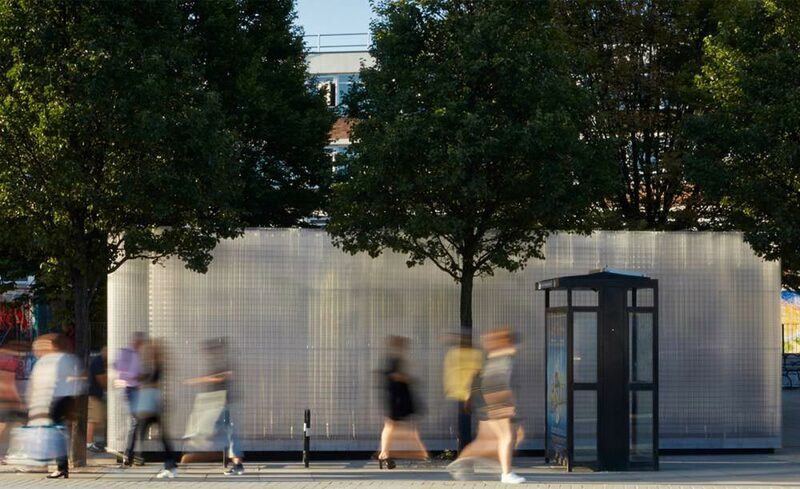 The Recharge the city installation by MINI isn‘t only a physical space. 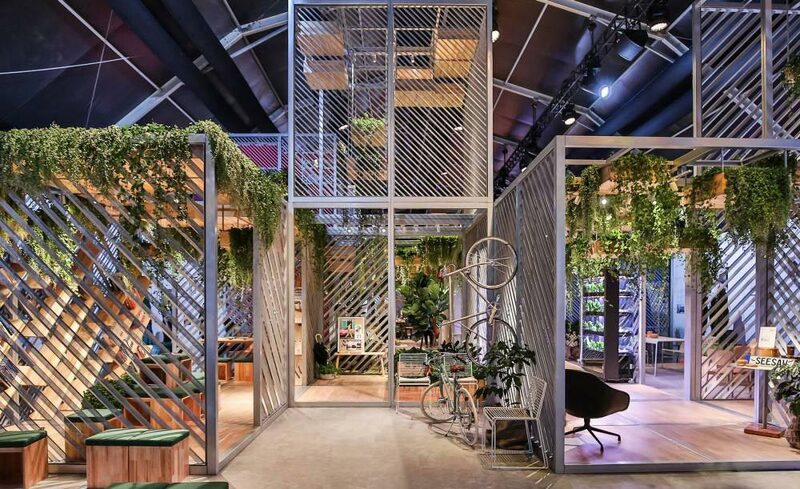 It’s a content platform for communities dedicated to a greener urban life, assembled an eclectic group of creatives to share their deep experiences and fresh perspectives on the topics of living, commuting, work and conscious cities. We all know the main problem we have to work on: reduce pollution. Especially in fast growing cities with an old core this isn’t the easiest task to work on. 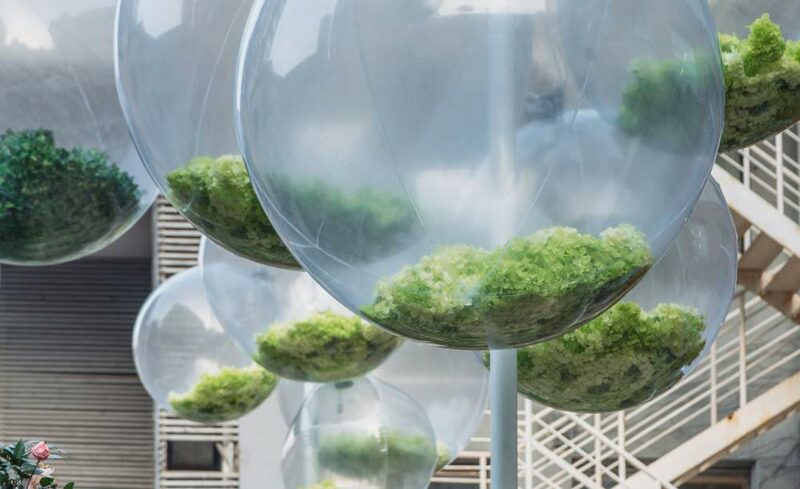 With the RECHARGE THE CITY installation we want the people to contribute solutions that trigger inspiration on how we could live better and more sustainable inside of cities in the future. The installation is all about collaboration. Especially with the local communities. We believe that great things evolve when ideas are shared and conventions are challenged. That is why MINI wants to partner up with local actors who are known for their experimental and forward looking perspective on the improvement of urban life. There is still so much potential that can be discovered in the urban fabric – we just need to find new and creative ways of how to activate it.